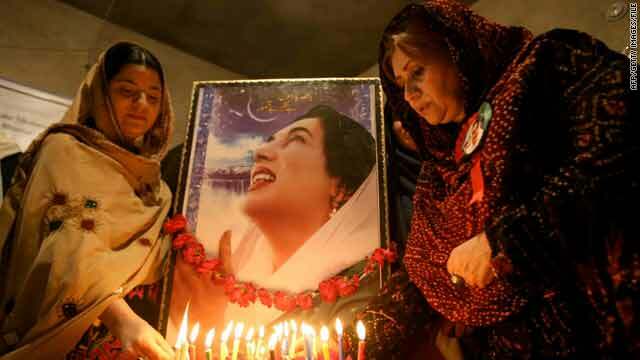 Supporters in Quetta, Pakistan, light candles on December 27, the second anniversary of former PM Benazir Bhutto's assassination. United Nations (CNN) -- U.N. Secretary-General Ban Ki-moon agreed to delay until April 15 the release of a report on the assassination of former Pakistani Prime Minister Benazir Bhutto, according to a statement from Ban's spokesperson. Pakistani President -- and Bhutto's widower -- Asif Ali Zardari had made the delay request, the spokesperson noted Tuesday. Bhutto was assassinated on December 27, 2007, while campaigning for a return to power. She led Pakistan from 1988 to 1990 and was the first female prime minister of any Islamic nation.